In 1993, the Spanish state acquired the collection of Baron Hans Heinrich Thyssen-Bornemisza for $350 million. (It was valued at $2 billion.) 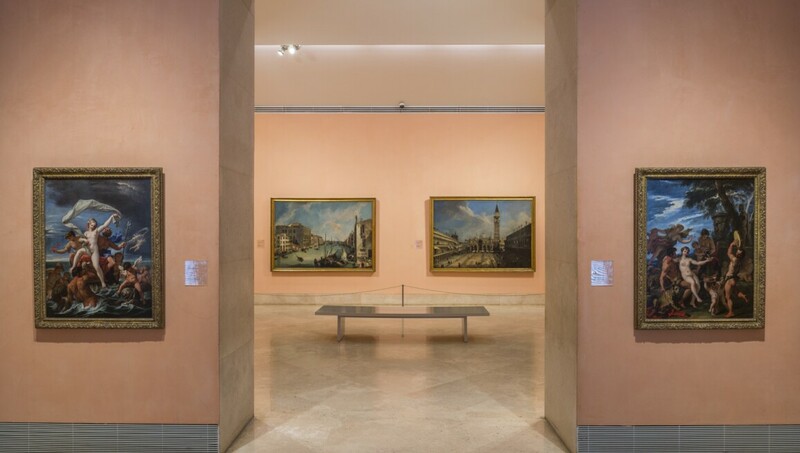 The purchase became the cornerstone of this outstanding collection, which, together with the Museo Nacional del Prado and the Museo Nacional Centro de Arte Reina Sofía, form Madrid’s famed 'Triangle of Art'. The addition of the Carmen Thyssen-Bornemisza Collection, on loan from the Baron’s widow since 2004, enlarges the presentation to nearly 1,000 works of art and spanning the history of Western art from the 13th century onward. Masterpieces abound from such giants as Duccio di Buoninsegna, Jan van Eyck, Vittore Carpaccio, Lucas Cranach, Albrecht Dürer, Amerighi da Caravaggio, Peter Paul Rubens, Frans Hals, Vincent van Gogh, Paul Gauguin, Ernst Ludwig Kirchner, Piet Mondrian, Paul Klee, Edward Hopper and Robert Rauschenberg. Also of great interest are seminal works from movements not well represented elsewhere in Spain, such as Impressionism, Fauvism, German Expressionism and the experimental avant-garde of the early 20th century.